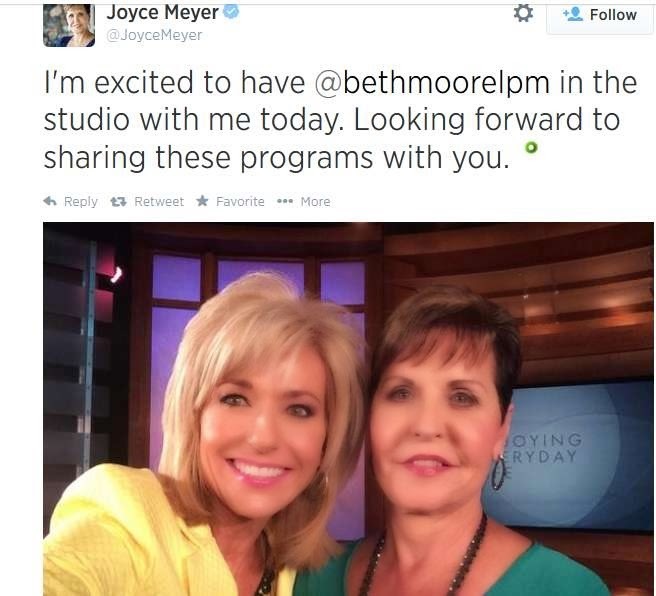 I am not surprised false teacher Beth Moore and false teacher Joyce Meyer share allegiances. They are not false teachers because of what they teach on non essentials to salvation. They are heretics and false teachers because of what they teach on the essentials. The Bible is clear on dealing with people who distort the faith on essentials like 1 John 4:1, Titus 1:10-11, Titus 3:10-11. In this video they are trying to make the argument for "unity" but the truth of Jesus divides- Matthew 10:34. It is either you believe in Christ or you do not and the correct Jesus of the Bible at that. You cannot "unify that". The Facebook RUCKUS is on the same level as false teachers Joyce Meyer and Beth Moore- attempting to unify what God says should be divided- the truth and lies.